Sister Patricia Fox presenting an appeal against her deportation order. The Bureau of Immigration has downgraded Sister Patricia Fox’s missionary visa to a tourist visa as the Australian nun continues to battle deportation. In an order signed on Wednesday (October 24), she was given temporary visitor status with a 59-day validity. BI spokeswoman Dana Krizia Sandoval said Sister Patricia’s visa was downgraded after her appeal to extend her missionary visa was refused. “Downgrading reverted her status to a temporary visitor, and she is given 59 days from the day her missionary visa expired, which was September 5,” she said. Meanwhile, the 72-year-old nun remains the subject of a Deportation Order from the BI, which she is currently appealing before the Department of Justice. Sandoval confirmed that the BI “still needs to wait for the decision before acting on her deportation”. She said the BI granted the temporary visitor’s visa, without prejudice to the resolution of her appeal. Sister Patricia’s lawyer, Sol Taule, said they welcomed the BI’s decision, adding that they were ready to exhaust all legal remedies for her to stay in the country. Today (Friday, October 26) Justice Secretary Menardo Guevarra said a speedy resolution of Sister Patricia’s appeal was unlikely due to the department’s workload. 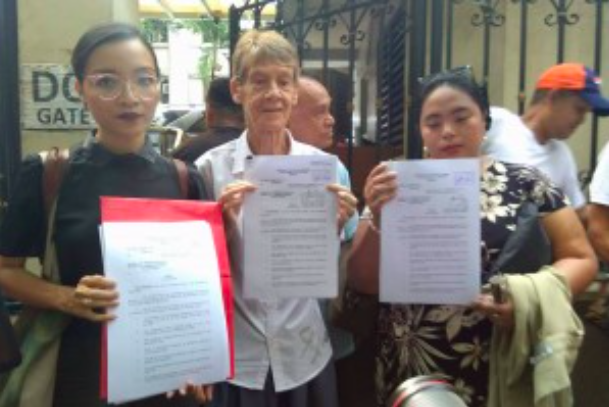 Sister Patricia filed her petition for review against the BI’s July 19 deportation order at the beginning of September. The Australian was first ordered out of the country in April, after President Duterte ordered an investigation into her alleged political activities, which the BI said were in contravention of her visa conditions. Throw her dike azz in the ocean.